EKF Diagnostics' range of blood analysers are simple to use and designed to quickly deliver accurate results to aid the diagnosis of anemia, diabetes and associated conditions. 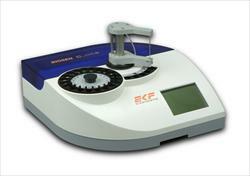 As manufacturer, distributor and supplier of hemoglobin analysers, hemoglobin photometers, lactate analysers, glucose testing and HbA1c analysers / hemoglobin A1c Analysers, EKF offers world class products and support. Our analysers are used in more than 70 countries by healthcare professionals in blood banks, GP surgeries, diabetes clinics, pharmacies, hospitals, sports medicine and laboratories. 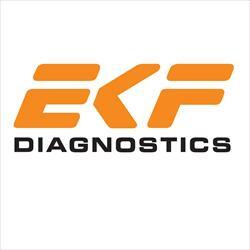 EKF Diagnostics is also a worldwide leader in the manufacture and distribution of organ injury biomarkers specialising in acute injury to kidneys (AKI), liver and pancreas. EKF's microtitre plate assay kits have particular application in assessing the safety and effectiveness of drug candidates in clinical trials. 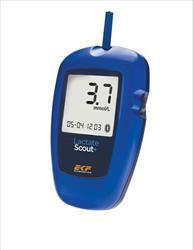 EKF Diagnostics’ Biosen range of glucose and lactate analysers serves two markets: diabetes management and sports medicine providing measurements at lab quality for up to 63 different samples at any one time. Our lactate analyser Lactate Scout is a pocket-sized blood lactate analyser developed to provide athletes, coaches, amateurs and sports scientists alike with lab-accurate lactate measurements from tiny finger prick or earlobe samples. The comprehensive range of EKF haemoglobin analysers are designed for use within a variety of point-of-care settings. Hemo Control is a robust haemoglobin analyser and provides quantitative, lab quality results within 25 seconds for blood banks, hospitals and clinics. Thanks to its integrated rechargeable battery, it is the perfect analyser for use in the field. 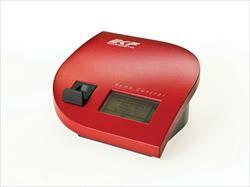 STAT-Site is a hand-held haemoglobin analyser by EKF that combines low cost per test with portability. It is especially suited to blood screening programmes in developing world markets but also has a nice in settings where operators are mobile. EKF Diagnostics is a is a leading global manufacturer, distributor, wholesaler and supplier of two HbA1c Analysers: Quo-Test and Quo-Lab. Quo-Test is a fully automatic HbA1c analyser that uses patented boronate fluorescence quenching technology to measure HbA1c from a small blood sample taken from a finger prick or venous blood. 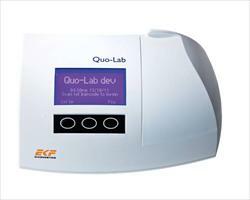 Quo-Lab is a semi-automatic HbA1c analyser designed specifically for use in diabetes clinics and small laboratories where cost is a key factor in providing diabetes monitoring. 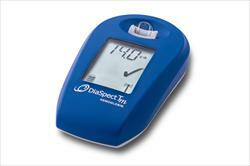 EKF Diagnostics’ biomarker diagnostic kits are used by researchers and clinicians around the world. We focus primarily on the development of test kits to detect the early stages of acute kidney injury. EKF Molecular Diagnostics aims to enhance genetic detection processes with highly specific, sensitive and innovative technologies and products for research, clinical and companion diagnostic applications.